Welcome Skiers! Let it snow, let it snow, let it snow! Perfect weather for massage in our cozy private rooms with heated tables. Add hot towels and your favorite spa treatment, we offer a Sugar foot scrub, Coffee back or foot scrub, Deep muscle warming balm, or deep penetrating 400 CBD pain relief cream. Located in Dunsmuir, Magic Mountain Massage & Wellness is where massage, yoga and wellness unite. Magic Mountain is committed to do our best to serve and support the local community surrounding beautiful Mt. Shasta. We work with local creative entrepreneurs to bring you the finest wellness and personal care products. Magic Mountain also carries yoga props and cotton and organic clothing yoga clothes and active ware as well as locally made yoga accessories! a saving of $14.00 a session! Classes will be small for more personalized instruction! Devon is on sabbatical and will return soon. Contact Magic Mountain for more details. MORE YOGA, ZUMBA, TAI CHI AND OTHER FITNESS CLASSES COMING SOON! Carol is grateful to be fulfilling her dream of partnering with her husband Tim to create a center that works closely with fitness instructors and local crafters of natural health & body care products while doing what she loves best- practicing the healing art of therapeutic massage in a safe and comforting environment. In 2000, Carol earned National NCBTMB Certification after graduating with honors from Great Lakes Institute of Technology in Erie, PA. There she connected with knowledge which affirmed her belief that massage is truly healing to both the spirit and the body. It provides essential human touch, which promotes emotional wellbeing, mental strength and a strong immune system. In the tissues of the body, massage speeds repair, flushes out metabolic waste, moves the lymph and promotes homeostasis so that your body can restore itself. After a brief time at practice, Carol became ill and to her disappointment, had to curtail her practice for several years. Finally, in 2016 she received an organ transplant and was made whole again! Carol returned to Great Lakes Institute and retook the hands-on courses. She passed the MBLEx in 2017, became licensed in PA, and went back to work doing what she is passionate about! Carol offers therapeutic massage using deep tissue and deep relaxation techniques. She also does special population massage including pregnancy massage, massage for cancer patients, as well as lymphatic drainage and geriatric massage. Carol's interest in massage, which began in her teens, has now come full circle. 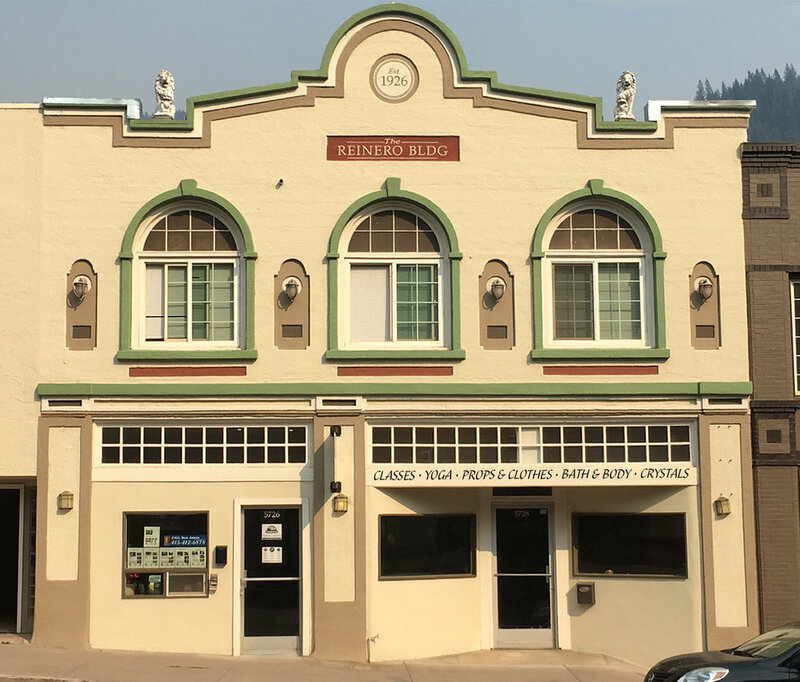 . . She is very pleased to join the Dunsmuir community and to offer her services to you. Amber wants to help you through this healing modality of reflexology. Contact Magic Mountain to book. Did you know that reflexology can improve nerve and blood flow and help heal the body and create homeostasis? Well it can and so much more! It’s been a game changer for Amber in so many different ways. She became inspired to study reflexology in the 2016 after she had been receiving treatments for migraines. It just helped so much and man did it feel good! Amber decided she wanted to make people feel like this so she asked her reflexologist what the deal was and she oh so sweetly gave her all the info she needed. When Amber arrived home in Chico, she looked up the international institute of reflexology and booked a flight to San Diego. Over the next year and a half Amber would fly back and forth studying the Ingham Method® of Reflexology, completing the classes and practicing on any feet she could get her hands on. It was so fun and inspiring for her! She would look for people with all kinds of conditions or problems and see what would happen. Amber couldn’t believe what people were telling her! If she didn’t believe before (and obviously she did) she certainly did now! Devon is available for 2 hour private lessons by arrangement (for up to 3 students). Contact Magic Mountain to book. achieved her own certificate from the Yoga Alliance in 2016. Originally, she began her study of yoga in the early 70s by watching Lillias Folan’s TV show, Lillias, Yoga and You. Manouso Manos, with whom Devon studied for five years at The Abode of Iyengar Yoga, has been a strong influence. Harvey Deutch, P.T., and Kathy Alef, of the Iyengar Institute in San Francisco, have also informed her teaching style and values. Devon's aims are to help students secure a foundation for a safe practice first, and second, to impart the knowledge any student needs to work toward her/his goals. Jan can be reached at jscowan@snowcrest.net, 530-926-5839 (home) and 530-859-2845. Jan Cowan has been practicing yoga since the 1970’s, and began teaching in 1992 in Redding, California. She received teacher training at the Yoga Room in Berkeley in 1992 and 1995, and in 2009 completed a 200-hour teacher training in Iyengar-based yoga at the Shasta Yoga Center in Mt. Shasta. She has taught in Redding at Shasta College and at Sun Oaks Health and Fitness; in Yreka at the Yreka Fitness Center; in Weed at the College of the Siskiyous; in McCloud at various locations; previously in Dunsmuir at various locations; in Mt. Shasta at the Mt. Shasta Fitness Club and at the Mt. Shasta Physical Therapy and Wellness Center. Over the years she has explored, in her personal practice and teaching, different forms of yoga including Yin Yoga, Restorative Yoga, Chair Yoga and Water Yoga. Currently she is bringing her focus to Yoga for Healthy Aging. Tim Schrum has recently retired and is thrilled to begin a new chapter in life supporting Carol, his wife of 27 years in her new business enterprise! You’ll be seeing Tim manning the phones and running interference around the store. Magic Mountain is committed to do our best to serve and support the local community. We are working with several local creative entrepreneurs to bring you the finest hand-crafted products. We have some very interesting Locally Mined Crystals of the Sierra Nevadas at Hallelujah Junction CA! Hand wrapped Crystal Jewelry. Makers of wellness oriented goods are welcome to stop in for a chat, we want to work with you! Magic Mountain Massage & Wellness wants to hear from you! Local makers & crafters, yoga/fitness instructors & massage therapists: we'd love to team up. Your message has been sent! We’ll be in touch!